Following his qualifying offer last week, Maxime Lagace signed a one-year deal with the Dallas Stars this afternoon. 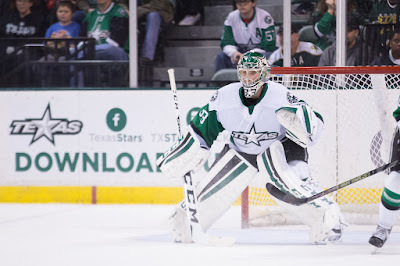 The rising sophomore AHLer found his groove in Texas this season and was the most consistent starter among the stable of goalies that Derek Laxdal's club employed. Lagace is an RFA after this contract and this is, of course, a deal designed to see if he can build on this past season's success. He is the favorite to be the starter in Cedar Park but could have stiff competition from Philippe Desrosiers. Also, don't count out rookie Landon Bow. Dallas Stars General Manager Jim Nill announced today that the club has signed goaltender Maxime Lagace to a one-year contract. Per club policy, terms of the signing were not disclosed. 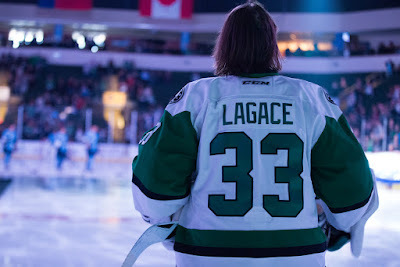 Lagace, 23, posted a 19-10-3 record with a .913 save percentage, a 2.90 goals against average and a shutout with the Texas Stars of the American Hockey League last season. He won 11 consecutive decisions from Dec. 27 through Feb. 17. During the 2015-16 Calder Cup Playoffs, he registered a 0-1 record with a .886 save percentage and a 2.74 goals against average in two postseason appearances. 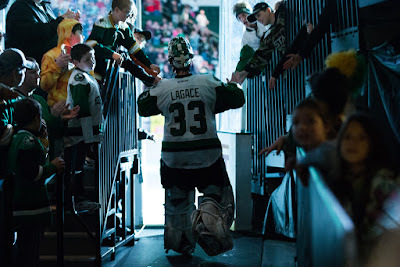 Lagace also appeared in 11 games with Idaho of the ECHL, registering a 3-5-2 record with a .886 save percentage and a 3.09 goals against average. The 6-foot-2, 185-pound native of Longueuil, Quebec went undrafted and was originally signed by Dallas as a free agent on July 23, 2012. The once-promising first-rounder, goalie Jack Campbell, will wear a new jersey this fall. Today, the Dallas Stars traded Campbell to the Los Angeles Kings for defenseman Nick Ebert. Campbell is likely to be qualified, signed and play in the AHL next season with Ontario, which means he will be back in Cedar Park very soon. Campbell has only played in the Dallas organization since being drafted 11th overall in 2010. The trade is probably the best outcome for all parties, as Dallas was unlikely to qualify Campbell. Without the trade, he would have walked for nothing. 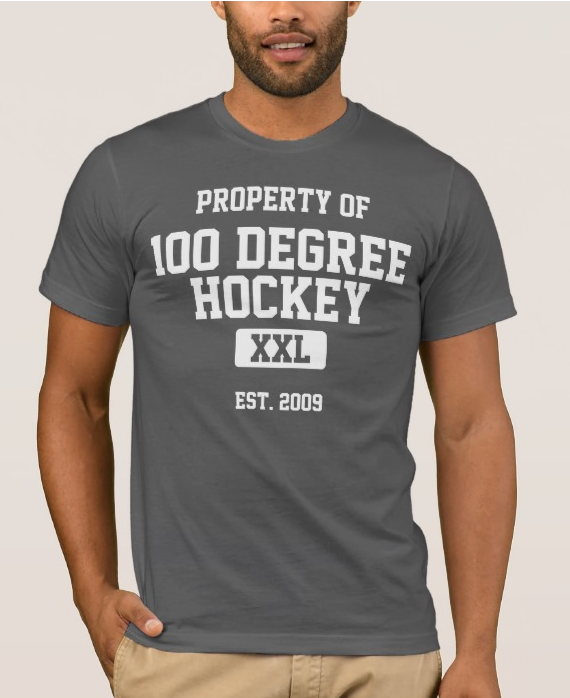 With this deal, Dallas gets a depth defenseman for the Texas Stars in Ebert. The 22-year old Ebert has spent the past two season in the AHL with the Kings. The Monarchs and then the Reign were both excellent teams in his two years there, so he brings a winning pedigree to the table. 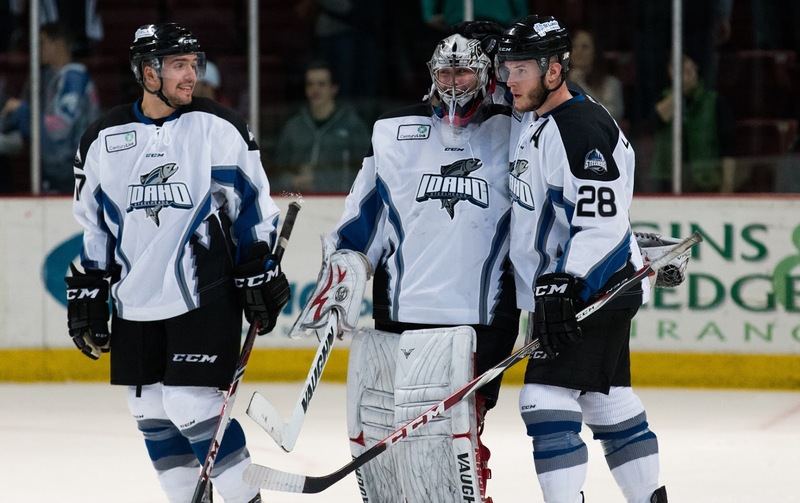 In what has become an annual ritual, the Dallas Stars announced today that they will re-up their affiliation with the Idaho Steelheads. This year's announcement comes with the added bonus of a two-year agreement. Up to this point, each agreement was a single season. It's a strong vote of confidence for Neil Graham, who was in his rookie season as the coach and GM of the team. It is interesting to compare how Texas has used its ECHL affiliate over the past seven years. Now that the organization's depth is more established, they are using the Steelheads more to their advantage and having fewer PTO players from other ECHL clubs. With the potential goalie situation this coming season, the development that Idaho can provide will be more valuable than ever this year. The coming season will mark the twelfth consecutive season – and 13th season in total – that Dallas and Idaho have been affiliates, which makes it the third-longest continuous active affiliation in the ECHL. Wheeling (Pittsburgh, 1998) and Florida (Carolina, 1998) pre-date Idaho’s uninterrupted time with Dallas, which began in 2005. The Dallas Stars announced today that the club will renew its affiliation with the ECHL's Idaho Steelheads through the conclusion of the 2017-18 season. The Steelheads have served as Dallas' ECHL affiliate since the 2005-06 season, and previous to that, during the 2003-04 campaign. Idaho has reached the Kelly Cup Finals three times as an affiliate of the Dallas Stars, winning the Kelly Cup twice (2004 and 2007). The Steelheads finished second in the West Division and fifth in the Western Conference with a record of 38-24-7-3 during the 2015-16 season. "We are pleased to renew our affiliation with the Steelheads for the next two seasons," said Director of Hockey Operations and Texas Stars General Manager Scott White. "Head Coach Neil Graham is a good, young coach who quickly built a strong rapport with his players. He gives his players every opportunity to succeed and has fostered the developmental culture we strive to possess throughout the entire organization. We look forward to our continued partnership with the Steelheads." With much of the AHL schedule dependent on the NBA for venue availability, you won't be seeing the AHL schedule until August. However, each team gets six guaranteed dates, which were released today for Texas. The dates are below. Saturday, Jan. 28 - WATCH D.O.G.S. Night. The only notable point I see here is that Texas gets its Military Appreciation in close to Veteran's Day this season. That night should perform better as a result. Pending RFA Brett Ritchie became the latest to re-sign with the Dallas Stars. Injuries derailed his 2015-16 campaign and limited him to 43 games between Dallas and Texas this regular season. He got into the NHL playoffs and will start the year in Dallas. It's a one-year, one-way deal. Dallas Stars General Manager Jim Nill announced today that the club has signed right wing Brett Ritchie to a one-year contract. Per club policy, terms of the deal were not disclosed. 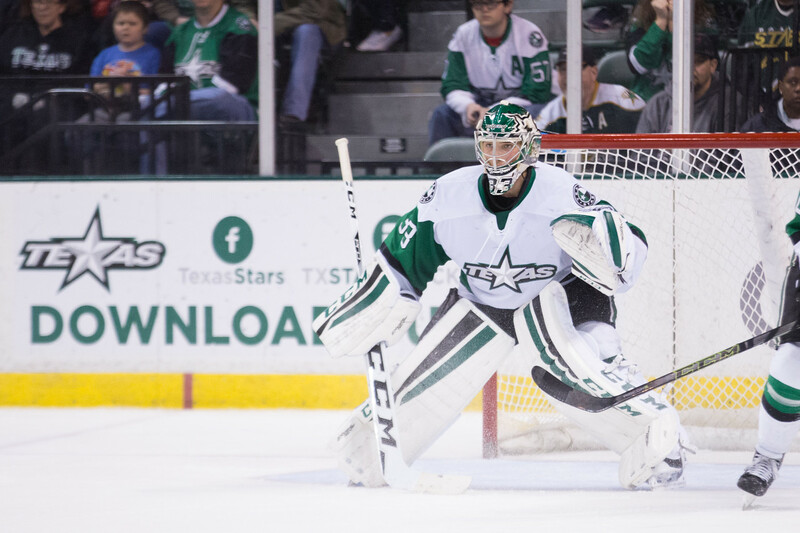 Ritchie, 22, split the season between Dallas and the Texas Stars of the American Hockey League (AHL). The winger tallied one point (0-1=1) and 30 hits in eight regular-season games with Dallas in 2015-16. Ritchie made his NHL postseason debut this season, recording one shot on goal and two hits in two games in the Stanley Cup Playoffs. The winger also appeared in 35 regular-season AHL games with Texas, registering 28 points (14-14=28). Ritchie has earned 10 points (6-4=10) in 39 career regular-season NHL contests, all with Dallas. The winger has also accumulated 101 points (53-48=101) in 141 career regular-season AHL contests with Texas. 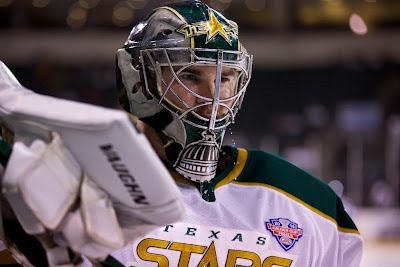 A member of the 2014 Calder Cup champion Texas Stars, Ritchie has appeared in 28 career Calder Cup Playoffs games, recording 17 points (11-6=17). The 6-foot-3, 220-pound native of Orangeville, Ont. was originally selected by Dallas in the second round (44th overall) of the 2011 NHL Draft. The Dallas Stars announced today that Mattias Backman has re-signed with the club on a one-year, two-way deal. The defenseman was a possible flight risk. He had offers in his native Sweden and indicated at his exit interview that he was considering them. He was a pending restricted free agent.